Having been sent a tuba mouthpiece to review, I was very keen to get it open and have a good look, and I was pleased to see that it was the Les Neish Signature Series by Alliance. My initial thoughts were great; the standard of packaging complemented the classy finish of the mouthpiece and there was the added bonus of a free leather mouthpiece pouch. 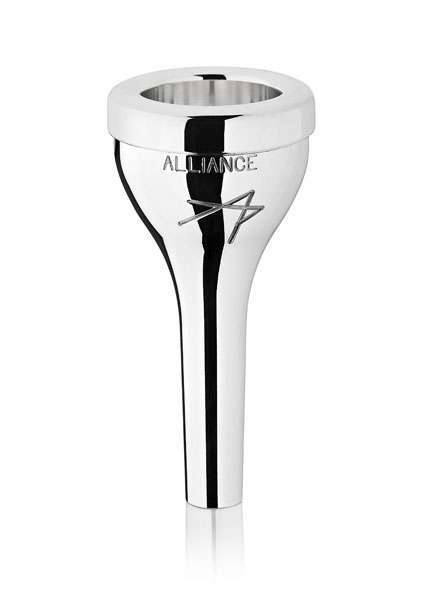 The ‘LN Alliance’ Mouthpiece resembles many of the good features of my mouthpiece of choice for many years - the Vincent Bach 24AW, including having the same cup diameters of 31.25mm and similar depths. This is certainly a versatile mouthpiece that could cope in many settings - I personally would feel comfortable using it in a band, in an orchestra in a chamber ensemble or for solos on Eb Tuba. Overall, this is an extremely well-presented, versatile and comfortable mouthpiece with a great quality finish and a very streamlined look, which lays in the same price bracket as many other leading tuba mouthpieces.